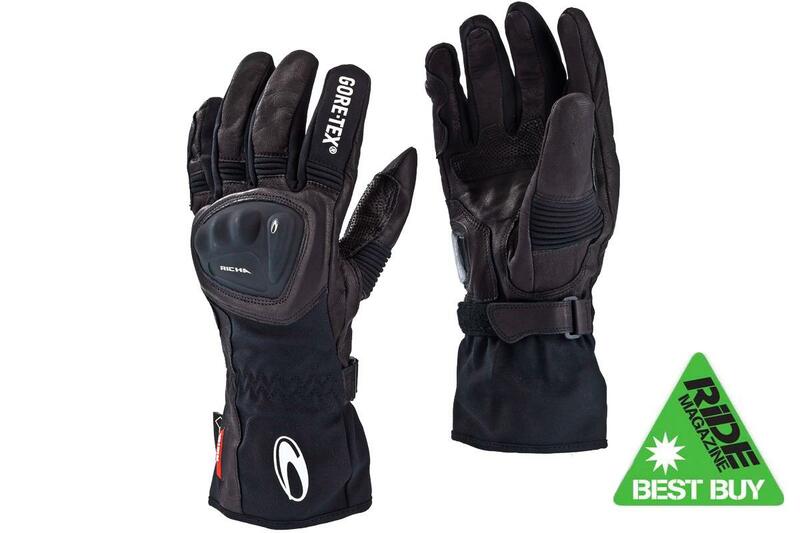 These CE-marked Gore-Tex textile gloves have hard knuckle protectors, squidgy scaphoid armour and leather palms and fingers. The thin lining means good feel, at the expense of a little warmth but they’re not sweaty. They were totally dry in all our tests.